GENDER divides when it comes to investing. A Friends Provident International survey points out that more Singaporean women feel financially secure than their male counterparts, and have a higher risk tolerance as well. 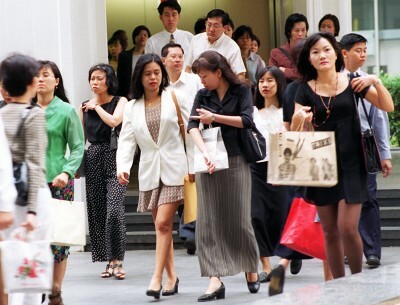 The report of 518 Singapore interview subjects showed that 25 per cent of the women felt "very financially secure" compared to just 13 per cent among men. Moreover, more Singaporean women (24 per cent) would adopt a high risk-high return investment strategy than men (14 per cent). The gender difference was further highlighted when Friends Provident polled the group on how they felt the investment climate is faring now compared to six months ago. Far more women - 26 per cent - thought it had substantially improved, while a meagre 8 per cent of men thought it had. And when asked to gaze into their own crystal ball, 22 per cent of women thought the market would improve significantly, while only 8 per cent of men thought they would. "Men appear more focused on a number of saving priorities including retirement while women appear more optimistic and feel more financially secure than their male counterparts," said Chris Gill, principal officer and general manager, SE Asia, Friends Provident International Limited (Singapore Branch). "Women also appear to be happy to take on more investment risk which may be as a result of better education, job opportunities and hence confidence in investing which is reflected in the survey results." Friends Provident noted that a majority of Singaporeans thought the market had recovered compared to half a year before, thanks to decisive action taken by the US Federal Reserve and the European Central Bank. "These measures sent a strong signal and seemed to instil faith in the willingness of central banks to get the global economy back on track, which had a positive knock-on effect on investor confidence," he said. Friends Provident carried out its third-quarter survey on investor attitudes from Oct 15 to 30, drawing from high net worth individuals in Singapore, Hong Kong and the United Arab Emirates. It also discovered few Singaporeans could accurately say how inflation has eroded the value of the Singapore dollar, with over one-third of respondents understating the impact of inflation over the past decade. Mr Gill said that impacts their decision on how much to set aside for their retirement. "It is now more important than ever for consumers to seek professional advice to ensure they prioritise their goals in order to navigate the challenging environment and prepare for the uncertainties ahead," he said.